Without cars, you just walked. Often on a Sunday afternoon, all six of us set off and took along a blanket, a bag of sandwiches and a gallon jug of homemade lemonade. Dad nearly always carried the jug and cups and the rest of us shared the rest. As there was a coulee not more than half a mile from our place and trees for shade, we went there. May and June were usually the best months, but July sometimes too. But in Medicine Hat, July and August were hot, and the chances of walking on, or sitting beside, bull snakes or rattlers was a constant menace. The bulls killed the rattlers, but there were lots of them around. There was one coulee near the river called "Rattle Snake Coulee." I was only in there once, and that was after I was married. More of that later. ON walks through, we all had switches to switch the grass in front of us, as we walked along. These were Prairie Rattlesnakes, venomous but shy, smaller than the Western Diamondback Rattlesnakes of Arizona. Historically few bit humans, and today they still occupy land around Medicine Hat. The local community college teams are called "The Medicine Hat Rattlers." 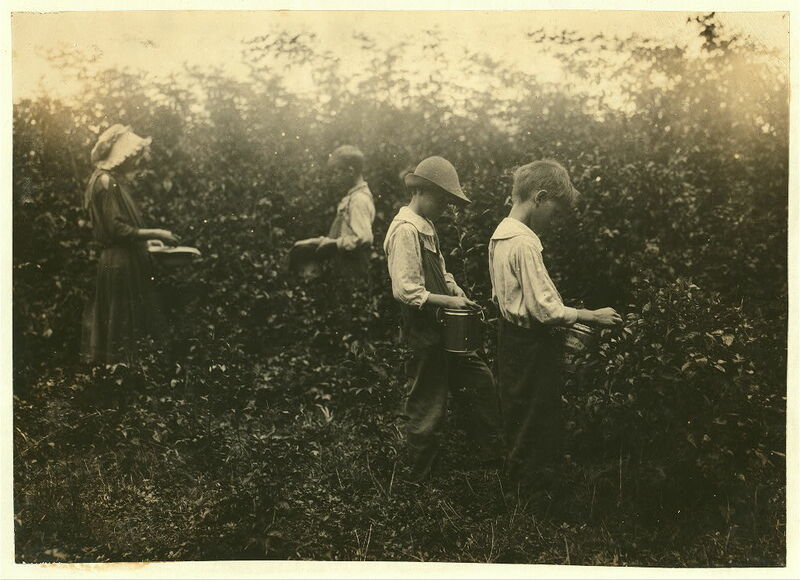 This photo of children berry-picking in Kentucky, shows them with lard pails tied to their waists. Most people like to pick berries. When I was about 11 or 12, I can remember the raspberries we picked, usually Mom and me. The pesky mosquitoes were always ready for a free meal, and there were no such things as jeans or slacks for females. So we rolled toilet paper around our legs and pulled our stockings up over. We never got our legs bitten, but our hands and faces got it. After picking about twenty quarts a morning for a two or three week period, we were immune to them. Most berries Mom canned or made jam. The rest we sold. I made quite a bit of pocket money this way. A quart sold for 35 cents, and I got a dime (10 cents) of that. Those days you could have a feast on a dime. 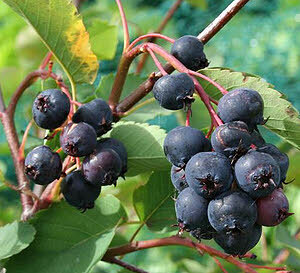 Dad was a different berry picker and went after the wild ones, "Saskatoons" especially. Us kids went too, each with a lard pail tied around our waist and two hands free to pick. It sure was fun and Mom would can the berries. Once Dad was hidden from us by a bush, and all of a sudden he yelled and disappeared into a big hole. We all helped him get out, but it was a big surprise for him. I remember berry-picking as a child also. We had few raspberry bushes, but the nearby riverbank was full of Saskatoon bushes. Although they look much like blueberries, the taste is quite different and delicious. I have baked my share of Saskatoon pie and would love to have another some day.